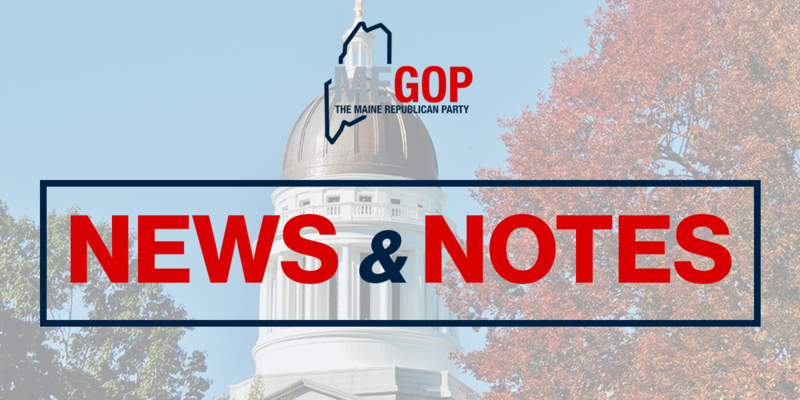 “The Maine Republican Party filed all independent expenditures with the appropriate authority on time and in appropriate order. Maine Democrats apparently did not check with the Lewiston City Clerk, who is the appropriate authority on this matter, on our timely and complete filing there. Maine law is clear that, in municipal elections, the disclosures of campaign finance expenses for municipal elections are filed with the municipal clerk. The Ethics Commission simply provides the municipalities with the requisite disclosure forms. We in fact disclosed all of our expenditures, including the $899.42 in question, to Support Shane Bouchard and Oppose Ben Chin, with the Lewiston City Clerk, complete, on time and in accordance with the law. We also filed our state campaign finance report with the Maine Ethics Commission. Consistent with our long-held understanding of the requirements for reporting “state account” expenditures, we were required to report the same $899.42 of expenditures there because we spent the funds from our state account. Those expenditures are reported as “operating expenditures” because the Maine Ethics Commission reporting portal does not allow for the listing of municipal campaign –related expenditures on the schedule that designates expenses as either “Support” or “Oppose” expenditures. But if we omitted them from our report completely, then we would not be reporting all of the activity in our state account. Sadly, it appears the Maine media ended up reporting on a completely meritless complaint, filed without proper due diligence and with either a misunderstanding, or misrepresentation, of the circumstances, the law and the reporting process for this election and the Maine Ethics Commission’s filing system. Finally, the Maine Examiner website was not created or operated by, or in consultation with, the Maine Republican Party. The Maine Examiner is not an asset of the Maine Republican Party, and The Maine Republican Party has not funded it.